I was in Tokyo on a business trip two years ago. We arrived around eight in the evening and was able to check in at The Royal Park Hotel at almost 10pm (it takes an hour or so drive by Airport Limousine Bus from Narita to Tokyo city). We haven't eaten dinner and the cold winter night made us crave for something hot. 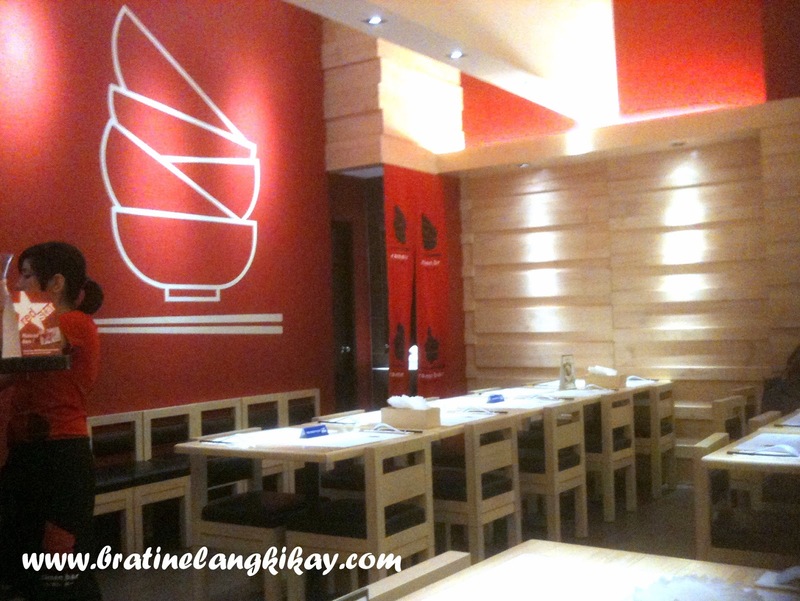 Thankfully, we were able to find a quaint noodle house that serves fantastic ramen. I thought it was the best ramen in Japan until I've tried other ramens served even at the tiniest restaurant in an almost hidden alley. It seems the Japanese will serve nothing close to perfect especially when it comes to food. 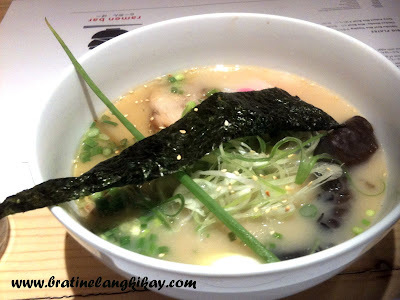 Since that trip I have not had a ramen that could compare to the authentic ramen in Japan, which has a broth that seemed to have been simmered for days, noodles perfectly hand-pulled and the veggies all fresh and organic. The searched for the next best ramen ended when I came across Ramen Bar at Eastwood. The Hubby said he had lunch there with his colleagues and the food is good. Their menu is straightforward; Small Plates which is a selection of appetizers and small entres, Big Plates for their donburi type of meals (3 choices only) and Big Bowl which lists down their house specialty - Ramen. I wanted something simple so I ordered Shio Ramen (Php280) which is a salt infused Tonkotsu Ramen topped with tamago, naturo, negi and chasyu. I was very excited when my ramen was served, and I had high expectations. 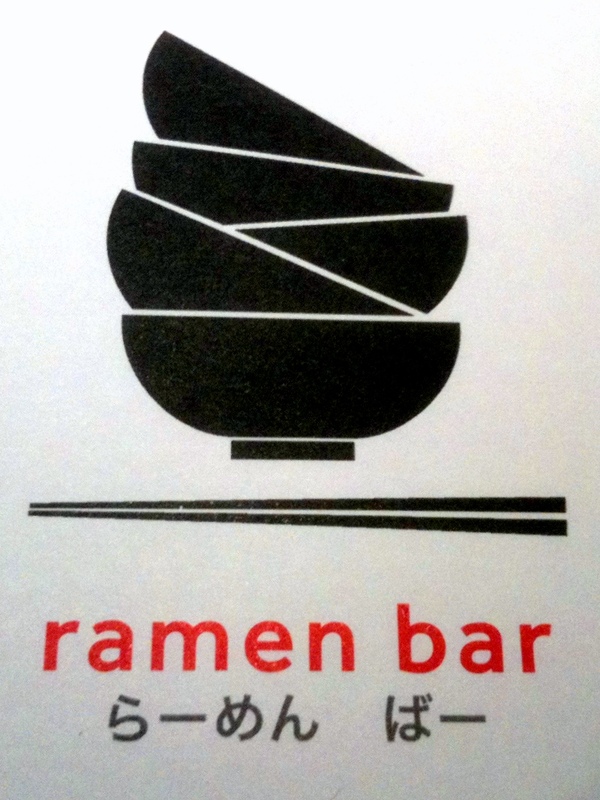 Ramen Bar did not disappoint my rooting-for-ramen-tastebuds. The taste was very Japanese, it almost sent me back to that small Ramen house in Tokyo. Memories of my trips came flashing back - walks at Ueno Park, the long train ride to Minami Machida, my first time to touch snow, and the commotion at Shinjuku intersection among many other happy thoughts. 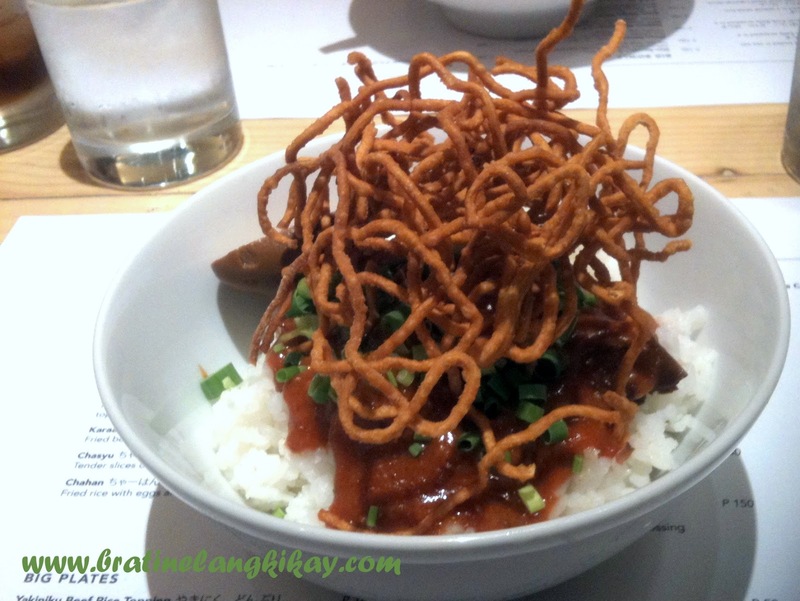 The Hubby ordered Spicy Kakuni Rice Bowl (Php185) which got me very curious when it was served. The tangled mess of what seemed like chicken intestine is actually crispy noodles and goes very well with the Braised Pork Belly. Two thumbs up for this dish both for the taste and for the presentation. Lastly, I wonder where they got their decors and framed photos? 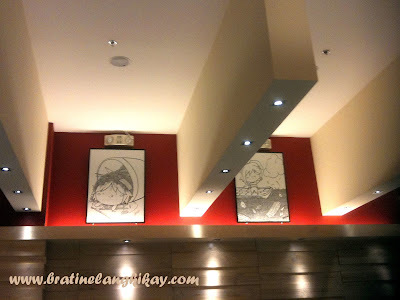 Quite baduy for a chic resto in Eastwood. Ramen Bar is located at GF 1880 Building, Eastwood Mall, Libis, Quezon City.